How Old Is India: lying between the Angaraland in the north and Gondwanaland in the south. Sediments were brought by rivers from these land masses and deposited at the bed of the sea. These sediments were subjected to powerful compression. This was either because of the southward movement of the Angaraland or due to the northward movement of Gondwanaland. 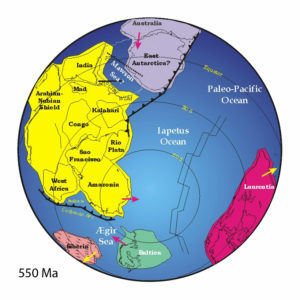 It is believed that the northward movement of the Gondwanaland caused compression in the sediments on the floor of the Tethys Sea. As a result of this compression, the sediment in the Tethys Sea was squeezed and crushed. This resulted in a series of folds formed one behind the other giving birth to the highest relief features of the earth- The Himalayas. The south of the Himalayas eventually became India. History of India and its civilization dates back to at least 6500 BC. This perhaps makes the oldest surviving civilization in the world. India has been a meeting ground between the East and the West. Throughout its history, many invaders have come to India. Indian religions allowed it to adapt to and absorb all of them. All the while, these local dynasties built upon the roots of a culture well established. India is among the few historically enriched countries on this planet. It has a very old historical background that the actual time and period has not even defined till today. There are a number of well known period in the history of this country. Many emperors from different period ruled this country. They made a huge empire by winning almost all the battles against their opponents. Such emperor left their marks in this country. There are also a number of historical places enriched with monuments and various architectural establishments. These monuments can truly mesmerize any traveler from the outside. The archaeologist started exploring India in the year 1922. 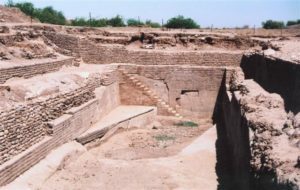 Initial forays in delving into India’s past began when Dr. R D Bannerjee found the ancient city of Mohenjodaro (literally, `city of the dead’) in Larkana district of Sindh, now in Pakistan. A little later, archaeological remains of another city, quite similar in planning and age, were dug up by Sir Daya Ram Sawhney in Harappa, in the Montgomery district of Punjab. Sir John Marshall, who was the then chairperson of the Archaeology department, decided this was a thing well worth looking into. Under his supervision, teams of archaeologists worked in other areas of the Sindh and Baluchistan provinces of present Pakistan.